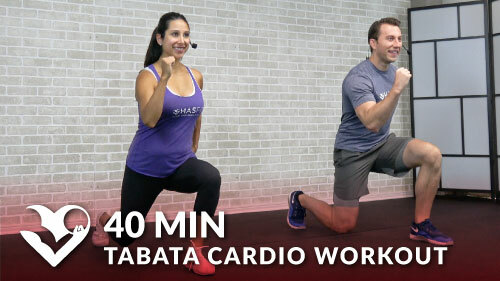 Burn fat, improve strength, and build lean muscle at the same time with this hiit tabata workout with weights. The routine only requires a pair of dumbbells and it’s great for both men and women. You’ll perform 4 back-to-back rounds of each exercise with each round including 20 seconds of work followed by 10 seconds of rest.